Blacklands #201, Tejas Excursion, April 17, 2004. Jason Lee Davis photo. 2011 Short Line Railroad of the Year! 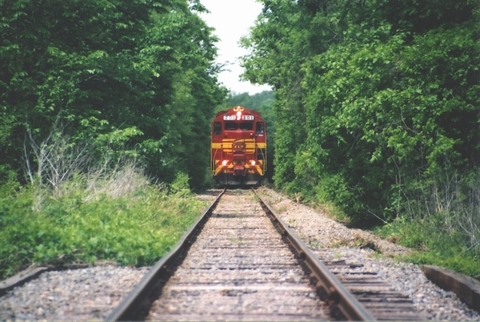 NETEX, formed in 1995, is a Rural Rail District controlling 65.6 miles of operational railroad and a total railroad corridor of 88.8 miles in Northeast Texas between the Titus-Franklin County line and Wylie. This line was originally the "C-branch" mainline of the St. Louis Southwestern Railway. Operator of the line is the Blacklands Railroad.